The summer months around Houston are known to be extremely humid, which makes it difficult to spend time outdoors. To escape these conditions, many people retreat inside. However, it is essential to have an efficient air conditioning system in place. During these times, the last thing you want is to deal with is a poorly functioning A/C unit. 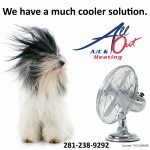 When you are having trouble and need Sugar Land HVAC repair services, All Out A/C & Heating will be there for you. 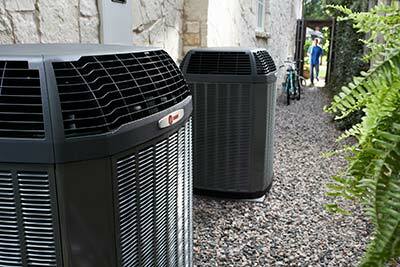 As your current air conditioner ages, it will likely be in need of repair. It is important to understand the newest innovations in the industry so that you can take advantage of the latest technologies. For the most efficient performance, a two-stage or variable speed air conditioner is recommended. Inside these units, the compressors have between 2 and 700 levels of operation with multi-speed capabilities. To battle the hot summer days in Texas, the higher level stages are essential. The lower level stages operate during milder conditions and saves energy. Two-stage and variable speed systems tend to run for longer periods of time, but they produce even temperature results with excellent humidity control. Sugar Land and Katy air conditioning repair experts know a two-stage or variable speed air conditioner removes twice as much moisture from the air as other products. This eliminates the likelihood of developing indoor mold or other health issues and it also uses less electricity. Since a two-stage and variable speed compressors runs frequently at low levels, it uses less power than a single-stage compressor that must run at full speed. Finally, two-stage and variable speed air conditioner systems operates more efficiently. Their long cooling cycles decrease the number of times it must turn on and off. In the end, your equipment experiences less wear and tear so that it has a longer life expectancy. Because single-stage units cost less, you may think they are the most economical choice. However, over the long haul, you will spend more for their operation and maintenance. The typical SEER rating on a single-stage A/C device is 16 or less. Higher efficiency systems such as a two-stage or variable speed system can range in SEER ratings of 17 to 20 and use less energy by only using the amount of cooling your home requires for a specific heat load. When you are considering an air conditioner upgrade, we will discuss all your options so that you make the best decision for your individual situation. The end goal is to provide an affordable system that keeps you comfortable throughout the year. With over two decades of experience in the industry, our staff knows the ins and outs of Sugar Land air conditioning repair. No job is too large or too small for our qualified technicians. 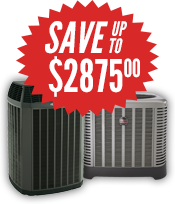 We offer a wide selection of products for all your HVAC needs. For more information about repair or new installation, call us at 281-238-9292.